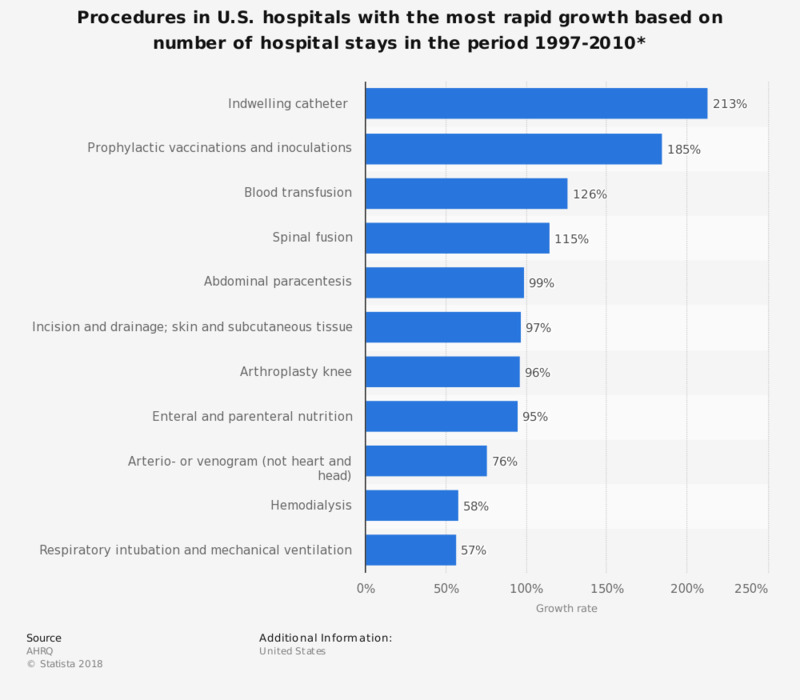 This statistic represents the procedures in hospitals in the United States with the most rapid growth based on number of hospital stays in the period from 1997 to 2010. In the period from 1997 to 2010, the most rapid growth was reported for indwelling catheter with a change rate of 213 percent. * Procedures with most rapid growth in stays per population. Includes only procedures with at least 100,000 stays in either 2010 or 1997.